Journalists of Ukraine demand the termination of the criminal prosecution against their colleague Mykola Semena in the Russian-occupied Crimea. The National Union of Journalists of Ukraine condemns the trial of the Crimean journalist Mykola Semena and demands to drop charges against him, as well as provide an opportunity to leave the Crimea to mainland Ukraine for treatment, according to the message of September 4 on the website of the Union. “Mykola Semena can not leave the occupied Crimea, but the administrative border dividing the peninsula with the mainland Ukraine should not be an obstacle to the support from Ukrainian colleagues, government representatives and the international community. We can, and should send a clear message to Russia: The Ukrainian journalist has the right to freedom of speech, the right to a profession and freedom of thought. 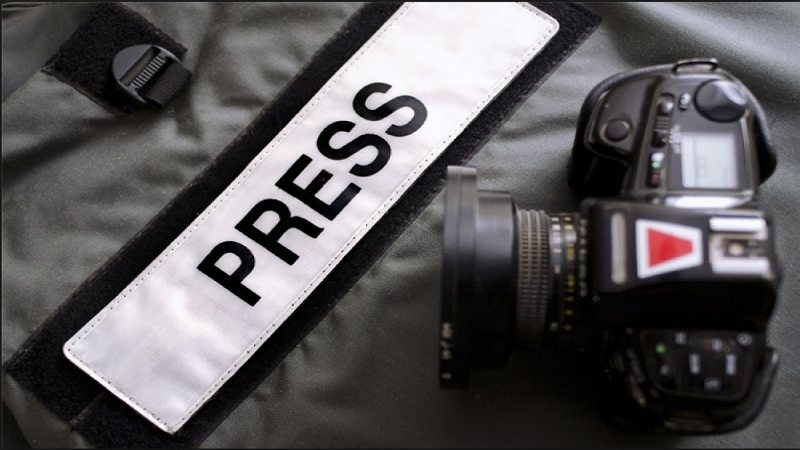 This is the basis for the safety of journalists, and its protection is our common cause," the secretary of the National Union of Journalists of Ukraine Yelena Yurchenko noted. The statement says that the National Union of Journalists of Ukraine takes all measures to draw attention to the Semena's case as a political persecution of the journalist in professional international organizations and unions, and also works to engage Ukrainian government institutions to help the journalist. Reference, April 19, 2016, the ex-"Prosecutor" of the Crimea Natalia Poklonskaya filed a criminal case on charges of separatism against Crimean journalist Mykola Semena for his published articles. On April 28 after interrogations and searches, Semena was considered a suspect. He denies the accusations of the occupation authorities. At present, the journalist is in community detention.